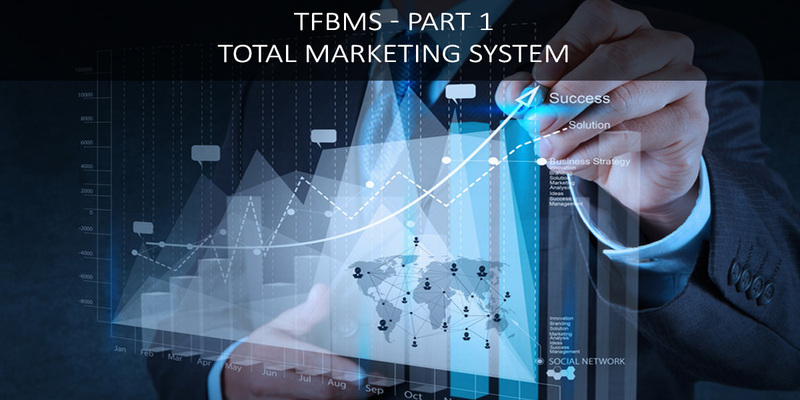 The TFBMS (Total Financial, Business & Marketing System) is a primary component within S-World & Villa Secrets, first described in March 2011 as ‘SIENNA SOFTWARE’, were after it has seen countless updates and revisions. 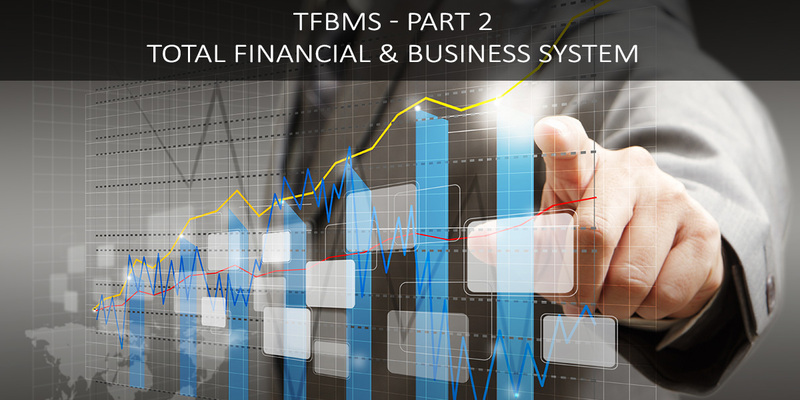 The TFBMS is the ‘financial, business and marketing system’ that combines with the S-Web framework, to create an advanced ‘all in one’ system design. This ‘all in one’ quality makes the TFBMS unique. What also makes it unique is that is that it being created for a specify industry, in this case ‘vacation rentals.’ Which makes it a lot simpler compered to products created for all industries, be they business CRM’s, financial software, or marketing software. However, unlike S-Web at this point the TFBMS is mostly a system design, not a working prototype. In February 2016 I created the a specification called ‘The Divergent CRM,’ then In August 2016 I created two papers, which together detailed over 40 different systems that would either increase income or efficiency, collectively making the TFBMS. Each of the 40 different components was given a high and a low assessment of how it would improve the gross profit of our prototype businesses. And two, three year financial forecasts were made, using only the lowest probabilities, see 3 year plan 4 & 3 year plan 5. In both cases, the addition of the TFBMS created a great win for the companies, doubling enquires, reducing the enquiry to booking ratio by half and increasing sales efficiently, which on paper created an improvement greater than 400%. Whilst the system may take over 3 years to create in its entirety, we will first create the components that have the most effect. The TFMBS Sienna-bot ‘AI’ is an automated sales assistant to help clients and our agents. It takes away most or even all the process of finding and presenting the right property to each client. The articles CMS is being created, to quickly create a beautiful magazine article featuring several different properties. One simply ad’s the property ID’s and a great looking magazine style page is created. This system is easily customised as an auto generated webpage, where after the link can be sent to the clients, automatically by the system or manually by an agent. It would not take a great lot more, to automatically make the page into an email. At this date we are about five weeks away from displaying the two largest Cape Town villa property databases on our websites, with live availability search. This will add availability details for 350 properties that can be searched for by clients and sales staff. Soon after we will add the third and last significant database. This alone will make the job of any new licensee or sales person 60% efficient. i.e. for 60% of enquires a sales person can immediately offer villas that are available on the three systems to clients, they simply need to offer the villas at the top of the list. To increase agents efficient further, in addition to the online villas are bespoke villas, villas that require an email or human contact for availability requests. For which we are creating a simple email system, where we use the client’s enquiry details to identify suitable villas and automatically send emails to them, with a simple ‘yes/no’ link which when ‘yes’ is clicked it tells our system the villa is available. To increase agent efficiency further, we require the teams in Cape Town to seek out more bespoke villas and add them to our portfolio and wherever possible recruiting sole mandates, or mandates to manage the property on the booking systems. To create the functionality above, we need to upgrade our enquiry system, to capture important details such as the date and wish list items, such as a villa close to the beach, or suitable for families. Where after entering the information, the client will be directed to an auto generated articles CMS page showing all ‘on line’ villas that are available, in a well-considered order. Combing all the above, will make the sales process super-efficient, the client can search correctly in the first place and if they do not, then the correct page will appear after the enquiry. If the client has not chosen a specific villa, about 5 minutes after the client enquired, an email will be automatically sent by the Sienna-Bot, presenting the best available system villas, and letting the client know that we have sent emails to say 50 bespoke villas, where after the client will be updated in real time by email (or in the client suite) as results come in. As a result, a number of beautifully presented and relevant emails will be automatically sent to the client. Keeping the client focused on whichever Villa Secrets website they used. Which alongside the communication with the sales agent, will offer a great and timely service? Of course, the sales person has the choice of just how much the Sienna Bot does. If the salesperson wishes the Sienna-Bot to act simply as an assistant, it can. The Villa Secrets web framework is to be powered by the TFBMS, (Total Financial, Business and Marketing Software) over 40 specific components that run as one integrated system which by 2020 will increase profitability by more than 400%. Welcome to the TFBMS, part software design, part operations manual. Part two of the TFBMS looks at software that will greatly improve efficiency in… business, financial systems, CRM systems (Consumer Relationship Management), inventory systems, distribution systems, property management systems… In fact, just about any system one could possibly need and when the need arises or is imagined for another component we can simply add it to the list. However, an integrated system has been the desire of Nick Ray Ball since 2011, particularly the financial integration into the system as a whole. Not creating various or different components to provide different answers/solutions but rather one all-powerful system in which each component dovetail with all the others. To avoid human error &/or fraud since the original SIENNA software plan in 2011, the software has been specified to capture financial data from the bank. Not from an admin or financial staff member copying data from the bank to a financial system or spreadsheet. Banking API’s (connections from a banks system to ours) are becoming more readily available and cheaper in the UK. However, we are not starting in the UK and we need to make our system connectable to any bank in the world, we are creating a simple bank CVS spreadsheet download and upload system. In short any staff member with access to the banks website can download a CVS spreadsheet. And we also ask that they take a screenshot of the banks online page that includes the running balance (for added security). The spreadsheet and screenshot are then simply uploaded into the TFBMS, the running balance is entered and the data is in the system. The one problem we have is when two payments for exactly the same amount, with the same reference are made on the same day. In which case the running balance will be incorrect and one must look for the duplicate payments or debits and add them manually. However, this event would not occur often. There is a slight time saving cost to this method, however the advantages of a system that is free or data capture errors and is very difficult to de fraud is priceless. Once the data has been fed into the TFBMS and the running balance is seen to be correct, that data is sorted into sections and sub sections. For all transactions that have a specific recipient code or name such as ‘Caitlin Salary’ or if a villa payment with a reference number such as ‘#2613,’the receipts and payments will automatically be assigned to the correct section. And in the case of income from clients, the system will create a message to make a payment to the owner. There will always be a degree of human sorting, credit card payments for instance. However, with most data being auto sorted, the list of available matching payments to choose from will be small and easily managed. The system will try to exact match the amount and if it can’t it will provide a list of potential matches, really making the banking child’s play. This system is designed to work for every single transaction, making the entire business banking process simple and extremely efficient. With all the banking data now placed into the correct categories and sub categories along with required fees presented for payment, updated 3 times or more each week, the system comes into its own when it comes to reporting. An accurate report of debits and credits presented as management accounts is essential in business when it comes to making spending and hiring decisions. This so the CEO and management can clearly see the profitability (or not) of the company. To further assist, using past data, the TFBMS will also provide reports that compensate for seasonal trends. In addition is the ability to provide up to date financial reports to clients as soon as their payment hits the system, or is paid to the villa owner, or a concierge payment is made it will update the clients CMS (Content Management System), which will eventually update the VS mobile APP. Whilst it’s not currently a must for all Villa Secrets Network companies websites, Villa Secrets itself (in part just because it can) will be reporting all its financial results in real time on its websites for all to see and evaluate. This in part is in replacement for financial bonding (financial failure insurance). To this we say it’s better to know a company is in good health than be offered a refund for the villa portion of the holiday if a company fails. The CEO and management will be able to see a very real picture of how one is doing in a month. Judged not only on income received but by how each sales agent is doing. One also has a very good indication of the value of enquires and each sales person’s enquiry VS closer ratio. Drilling down deeper one can assess which agents perform best with which enquiries and better order the allocation of enquiries based on such data. Once one has the organised data, the final part of the system is to correctly present and pay taxes, and be ready for an Audit if necessary. Each country has different tax and filing guidelines as well as rules which everyone should abide by. However, this is simply another set of rules to add to the system. It’s simply reporting in a specific format. The CRM is the glue that holds everything together. Unlike traditional CRM’s we are creating ‘The Divergent CRM,’ where the CRM is the common connection and user interphase that connects everything to everything See over 4 hours of video on this point. However note that now we are looking not at integrating with an existing CRM rather creating our own. Which is better for a number of reasons not least the integration to the financial software. But also we wish our CRM to be an email client, used in place of a standard email. This may take a bit of getting used to but it will be worth it. The CRM will assist the sales person with reminders and auto actions based on enquiry. Such as that of choosing the right way to send newsletters. Like a dog with a bone it will never let a client leave until it concludes a booking or has been informed why a booking was not made. This is in part a security measure to make sure agents do not do ‘outside deals’ (for instance, booking a client into an owner’s villa and take the commission directly). The CRM will also create the main interface used for all other parts of the software and will be instrumental in remarketing. The enquiry system is initially created for bespoke villas (villas that do not present availability and pricing via an online system). Currently when it comes to such villas a typical villa agent will contact just a few of the 100 plus options. The enquiry system will automatically email all relevant bespoke villas asking its availability and if the price is correct. It includes a simple one click reply if the villa is available and the price is correct, or an option to change the price if it is incorrect. As soon at the email is replied to, or the one click accept pressed the villa will be added to the sales agents CRM (sometimes before they have even opened the enquiry) it will also update the Clients CMS (detailed next). 8. The Clients CMS is a system that the client can log into to see all dealings with company. Initially it will record a list of all the web pages visited, how many times each page has been looked at alongside any favourites a guest has picked and the details of the enquiry. The system will keep a record of all emails sent to and from the agent, all concierge and hospitality requests and offer various suggestions about same. It will create an itinerary/holiday planner which they can add items to and it will display all pertinent financial data. It also becomes the mechanism for them to choose their guest gifts, welcome packs or order supplies. Indeed everything a client could wish for will be accessible or reported in the Clients CMS, which can be printed out and acceded via their cell phones. The Sienna bot AI is all automated actions we can think of that can be created between the TFBMS and the client. For example, if we skip back to the Enquiry System, the Sienna Bot will send an email to the client after the initial enquiry providing an answer on its availability. It will present the highest ranked villas available from the online systems, informing the client that it has emailed a further 50 of so bespoke villas and will keep the client apprised of its results. As each bespoke enquiry comes back it will add the villa to the clients CMS. And in the case of a high match villa it will directly email the clients about the villa and send a SMS, WhatsApp or whatever communication method the client has given. It will even be able to tweet it to the guest if we have their twitter id. The Sienna bot can start negotiating prices if the agent desires. It does this by sending an email to all relevant owners asking if they would like to make a special offer. It may be possible for the Sienna Bot AI to conclude a deal with a guest without human contact. And can be an invaluable asset to semi-sales staff who may be manning Live Chat, or the phones out of work hours. Good hospitality creates a peaceful life for staff, generates repeat business and really is the only way to run this kind of business. So as an addition to the Clients CMS, a dedicated hospitality adaptation will be created. Villas that need to be visited prior to occupation, concierge requests, itineraries all organised within a master hospitality system in which staff are rostered and owners are apprised of their responsibilities. A big part of the CMS is travel logistics and events. So for instance a Safari would have a number of other venues that are easy to get to as a part of a multi leg holiday and a list of activities such as ballooning. The point of the Experience Africa CMS is to assist sales persons and travellers to create multi leg holidays with greater attention to details and logistics as is known by experience agents (as such agents, cannot possibly know the logistics for the 1,000 luxury venues found in Africa), let alone have a per safari guide on the likelihood of seeing one animal or another.. Given the above, companies can advertise multi leg trips on their websites and with a single 7 star 2-week trip generating more than ZAR 360,000 ($25,000) the capacity to create such trips becomes a useful side-line and upselling opportunity. PMS (Property management Systems) & GDS (Global Distribution System) connections are adding portfolios of villas or other accommodations to the website which offer on line booking to clients and a quick search for available villas for agents. We already connect to Razor/MyBookingPal which adds about 200 villas to the websites. We have scheduled additional connections to the Nightsbridge booking system and a leading property management company that we hope to complete in early 2017. This gives online booking access to about another hundred villas and two hundred apartments. The advantages of this are plain to see. However, this action has the possibility to really make a lot of extra money if by adverting for apartments on Google we create a good ROI. In addition to the above mentioned we are talking to Kigo and HomeAway about access to their villa inventories and with Amadeus Hotels about creating a connecting to all African luxury hotels and a great many safaris. This connection will likely be created before 2018. In general, if there is a PMS anywhere in the world that has luxury accommodations, in time we shall connect to it. This principle is another of the original 2011 SIENNA networking software component. Our version 2 system ‘The Villas Cloud.’ Is detailed in over 50 pages of works from Summer 2015. The Villas Cloud, (VillasCloud.com) is currently one of the first 8 companies in the Cape Town network. It has many bells and whistles and will be able display data from all the different PMS and GDS we connect to. Whether we can get it to synchronise and offer an all-inclusive product for online bookings and affiliates is not completely clear, as different systems have different rules. In most cases, we would be interested in including the PMS owners within the S-World Villa Secrets network and in some cases consider buying systems outright. This chapter has a long way to go… and has a good payday for the company that buys into the Cape Town Villa Cloud licence. What we do know is that we can create an internal booking product with great owner features, from single entry pricing (enter one price and the years pricing is automatically set) to a multitude of marketing options. Villas Cloud will combine with our villa owners and property manager CMS’s and be very simple to use, with a super simplified version available for mobile. There are hundreds of distribution channels, Villa Secrets being one. The best known are Airbnb, Booking.com & HomeAway. We are in discussions with HomeAway about connecting the Villas Cloud to their system. So when Villas Cloud records an entry, most often an availability request, both are synchronized so Villas Cloud updates HomeAway. We will seek to do the same with AirBnb, Booking.com and just about every other channel. There are products available that connects to many channels at a time. So it’s realistic to suggest that by the end of 2017 Villas Cloud will be able to update most of the worlds systems. Distribution channels become a source of direct bookings and from each request a many different villas can be booked. The property managers CMS is built upon the standard Villa Secrets CMS, the enquiry system and info gained from the Sienna Bot. In general, displaying all relevant data in a simple way. Property Managers can add to their listing or add new listings easily without assistance. In addition for qualifying property managers is a profile page that presents the property manager on our websites to villa owners who are looking for management. This is under the agreement that one or another of the villa secrets companies handles the marketing and bookings calendar. The list of property managers available as recommended by Villa Secret alongside the PMS is another reason for villa owners to give Villa Secrets companies mandates. And this, in general, is a good way to communicate special rates from property managers to the network. Property managers whose villa is exclusive to the network will have access to all the data from the distribution channels. The villa owners CMS has all the features of the Property Mangers CMS. But focuses in addition on the sale of the property, including data from the real estate companies in the network, such as what price similar villas were sold for and when. Owners can see how a villa would be presented for sale and can adjust the printed brochures to their liking. There are many initiatives and one is to allow production companies to lower rates for photo and stills shoots in exchange for them uploaded the media to the websites (photos, write up and video clips). All press is good press; however most good press is not capitalised on. The Owners CMS becomes a system for collating all good press. The owners CMS is the tool for owners and agents to achieve the best price possible if the owner wishes to sell. Should a property be sold that is mandated to a non-real estate company within the network, they will receive a 25% referral fee. Which if at a commission of 4% on a villa that cost ZAR 25,000,000 ($1,850,000) would equal ZAR 250,000 ($18,500). And in addition will likely keep the rental mandate after sale. For owners of popular properties that get a lot of booking requests this is the concept of creating agency websites for them. Either creating an individual or multi user website, where the villa managers and owners can attempt to make bookings from requests they have had but cannot accommodate, as their villa was already booked. Or alternatively create a connection with a villa secrets company to deal with such requests. This measure has proved popular with the owners of some of Cape Town top villas and Africa’s private islands, where a single booking can be worth more than R300,000 ($22,500) in commission. In general, if a villa owner or manager makes the booking they keep 75% of the commission and pay a 25% referral fee, or if the booking is handled by a Villa Secrets agency it’s a 50/50. Villa Secrets agencies are free to recruit such accommodations, and they receive the commission split. Magic menus is a system that is already over half complete, a highly sophisticated system that performs a number of tasks. e. Connects to Google Analytics and increases the list position of villas that receive a lot of page views, in three categories, daily, weekly and monthly. g. Generates a system to rotate villas in top 10 list and homepage positions. Magic Galleries is the concept of creating a photo and video library from the media we gather. Each villa page will have thumbnails near the bottom of the page showing all the pictures. Clicking on a thumbnail will lead to a dedicated photo page showing the photos at different sizes (Max 1920 pixels) and offering search options to see more of the same photos. After three years this photo library will be extensive and very useful for people looking for images. For instance, if one wants a photos of a luxury kitchen, Magic Galleries will have over 500 quality images all of which have hi res options available for purchase. Of course a lot of people will just use the medium res images for free, but that’s the point. Google can tell the original source of the image and the more times an image is duplicated on other website the more Google respects the source. Magic Menus will make the Villa Secrets websites popular for many keywords. Which when used in combination such as ‘Luxury Villa in cape Town with beautiful kitchen’ will result in top search engine positions. And note that Google does not allow ads for most long sets of keywords, making a number 1 position really number 1. Magic Galleries is a new concept in ‘long tail’ SEO exclusive to Villa Secrets. We already have Google Analytics working on all websites which gives us useful stats. For instance, it tells us all sorts of data about the clients that enquire. Their location, language, device, operating system and crucially where they came from, Google AdWords, Organic Searches, Referral, Social, Direct etc.… and in most cases it also tells us the search term used. It also shows us which pages on the website are being visited. And most usefully a list of which search terms the website is ranking for and which pages are being viewed most. Analytics 2 takes this process a step further, in particular giving a complete trail of a client’s journey before making an enquiry. Which pages have been seen, which blogs have been looked at, even which you tube videos have been seen. Sales agents can use this information to assist their replies. A client who has never been to the site before may be better served with a different reply, top one for a client who has been a regular visitor. In addition, sales agents will be told when clients are on the website, their history, if one has already captured their email address and phone number via ‘Guest Gifts’ or another method. The instant that the clients are on the website is a great time to call them. Combined with the CRM and financial system Analytics 2 can give us greater information about each advertising method and keyword. As it will not only tell us about enquiries but also which enquiries made bookings and which enquires made lucrative bookings, and ads will be adjusted accordingly. In addition to analytics for web sites, one can also get analytics for Social Networks. In three years’ time we shall have integrated both the posting of web pages and blogs to social networks. Collecting all sorts of social analytics, letting us know which advertising or general usage is assisting the sales process. In this and the other two documents on the TFBMS we are looking at ways to improve the marketing (and so the number of visitors to our websites and social media channels), plus ways to improve the number of enquiries and contacts gained from such contacts, then ways to improve the conversion rate of enquiries to bookings and ways to encourage repeat business. In addition, most points presented are relevant to the increasing the stock/portfolio of villas, be that the acquisition of exclusive property rental and sale mandates or improved rates. Part one of the TFBMS looks first at content marketing, staffing and marketing systems that are for the best part simple concepts. Five of the 21 points presented: the print and TV media, the Villa Secrets branding and the 24/7 sales staffing are to a degree reliant on a network of companies pulling resources for long term development. However most of the other points could if necessary be created and implemented by a single company, by the management, our current programmer Vineeth and our designer Piyush (both of who’s salaries are covered for the first year within the initial payment) without the assistance of the systems designer. Such effects are forecast to improve the profit of the trio of websites www.VillaSecrets.com, www.Cape-Town-Luxury-Villas.com & www.VillasInCampsBay.com by more than 100% and most could be in action before 2018, creating a very successful stand-alone model. For each point presented, for all TFBMS components we offer a low and high percentage of expected improvement at the end of three years (2020). The results are seen individually on the 2017-2019 financial forecast spreadsheets. In these spreadsheets we always use the low estimate, seeking to always under promise and over deliver. Advertising using Pay Per Click (PPC) methods. For instance, if a client was in the UK and searched Google, if they click on us we pay about $5. Currently this advertising creates more than three dollars of income for each dollar spent. Google Ads are already included in the 2015 & 2016 financials. However, we will soon be adverting with Bing/Yahoo who in 2015 had 33% of the US search engine market. So in principle, one can increase enquiries by about 20%. (A note on the math, the 2015 Google Ads only account for about 70% of gross profit, the balance coming from free search traffic and clients coming direct to the website). Despite the ‘on paper 20% gain we don’t know the UK and Europe market shares and this adverting medium is untested, we also created a low effect of 7% (which is the figure we are using in the forecast). Note at all points during the TFBMS presentation it is the low figure that we use to create projections. As such, so long as the points are implemented in the times suggested projections are a low forecast, with great potential to over achieve. This type of adverting works in two ways. First, it encourages the client to go back to our sites. Second, if a client has made an enquiry, they will be impressed by our ads on important websites. As the ads we create show client’s important points like our membership of ASTA (American Association of Travel Agents) which will help the sales staff close the deal. Content writing should be considered for every villa with over 4.5 stars on Villa Secrets. For each we will have a professional copywriter create a new write-up. In the case of top end villas, multiple and fresh write ups will be produced for the different websites. And in addition creating numerous pages on its location as well as the local attractions. Fresh quality content is highly prized by Google and Social Networks. And our magazine format makes for a greater user experience. We would, after 3 years and over 1,000 write ups and articles, expect at least a 10% increase due to higher Google Organic search position. We would expect to gain more direct clients from the syndication of the content to social networks and blogs. What’s more the new article alongside the creation of other media becomes a good conversation starter with villa owners about improved rates and mandates. Good photos and video go hand in hand with quality content writing. And again each villa over 4.5 stars will be re-photographed. And in the case of high end or exclusive villas, we will photograph them multiple times and create quality videos. Alongside the fresh article content, we create villa pages that really catch the eye of clients and the villa owners. Increasing the chances of enquires and bookings and gaining mandates as well as better rates. Increases in Google position alone should account for 5% improvement. In addition is every other search engine and social network that presents photos and video. Similar to content writing but the content and photos create a dedicated blog site, as seen at http://blog.villasecrets.com. Blog sites have become the stable Search Engine Marketing (SEM) system for many successful websites. Alongside increasing a website’s SEM, a well presented blog and magazine site provides an additional client experience. It is a good way to impress villa, safari and private island owners or managers into giving better rates or mandates. In addition to the WordPress blog site, from our web framework, we are creating a Villa Secrets magazine site using the new advanced Content Management Suite (CMS). This magazine site will become the foundation for creating actual magazines and brochures. Known is the SEM (Search Engine Marketing) industry as ‘guest blogging’ where one approaches popular luxury travel blogs and social networks and offer to write articles on their blog. One’s reward being links back to our websites which improves one organic search position and in addition sees clients who read the blog attracted to our websites. Of course the better our own website and blog the higher powered blogs will allow us to make posts. In guest blogging, once we have a foundation and can present ourselves as an expert in luxury African travel, we can contact the managers of luxury travel blogs and buoyant social networks asking to guest blog. Creating a unique article for the blog that includes a link back to the website one is promoting. The Villa Secrets homepage was developed as a part of building the foundation for guest blogging about luxury travel in Africa. Whilst untested, we expect that as soon as the page is complete in addition to the Villa Secrets blog, many quality luxury blogs will allow us to guest blog on their websites and social media sites. The high figure of 15% comes from taking the process a step further. And seeking in conjunction with the forthcoming Villa Secrets magazine section to get our articles published in travel magazines like Conde Nast Traveller or News Magazines such as Time. When we add a blog on our WordPress blogsite, it gets automatically posted to about a dozen Social Networking sites after a few days. It’s not a perfect system as it does not set the order of the photos correctly. Mostly uploading only one photo and this is why we have now taken to updating blogs to Facebook, Twitter and Google Plus by hand. We have not tested its feasibility. However, it is our intention to create auto syndication of standard villa pages to all the social networks. Creating thousands of posts, the way we wish them displayed. Currently, with minimal effort and little spent https://www.facebook.com/VillaSecrets has over 40,000 genuine likes and attracts between 500 and 1500 engagements per post. And in just 4 months https://twitter.com/Villa_Secrets has nearly 10,000 followers and receives over 5,000 impressions a week. After 3 years we would expect far greater numbers on over 20 different networks. Given that we have a great content making machine, the potential for using social networks to attract clients is obvious. However, in Twitter and Linked in one has the potential to network with agencies and villa owners all over the world. Keeping in touch with such agencies will pay dividends. A good way to keep in touch with international agents as well as current and previous clients is via newsletters. Companies such as Secret Escapes send millions of newsletters every year. We already have the content and will customize newsletters to conform to one’s desires, from the new villas, the Top 10’s, and the location information. The bigger one’s database of email addresses, the greater the response. Hence we will be displaying offers such as a free bottle of Moet on arrival in exchange for entering an email addresses. If this measure is successful it could double the number of active contacts/enquiries hence the high value of 30%. In addition, we can also share databases from different websites. Guest gifts in one of the original 2011 network plan concepts. Currently the 3-year financial forecast sees a quarter of the 25% marketing and development contribution spent of giving guests gifts. We are teaming up with http://www.lalimalu.com/ to create jewellery and custom made handbags. And will be looking to buy or barter perfume from Bulgari as well as other fashion house’s. This covers a welcome pack and a few items of jewellery for a small booking. For big bookings we can provide custom made handbags and other gifts. To be sent to clients on birthdays and anniversaries, for years… It creates a great talking point and an excellent way to remind guests of our services. It is the case that if one can get the top 10% of clients to rebook or refer a friend, one will increase income by more than 50%. Plus, it’s a good story… perfect for our content marketing team to syndicate. This concept was born out of the idea of creating quality brochures for villas for sale to assist the networks estate agents. However, as our CMS develops, it can become clear that we can automate the design process and create a system that will print a selection of individually customised brochures. This will be in key locations such as USA, UK, Hong Kong and South Africa for delivery 2 days after request (well not 2 days in SA but for sure in UK and USA.) And so such a system can be used for villa bookings. The booking process for most big bookings (making more than $2,500 (R35,000) takes weeks to conclude. If after 2 or 3 days of enquiring a selection of individual brochures for available recommended villas arrives at the client’s home or office, the brochures become the visual focus of the enquiry process for the client, who will often forget about other agencies. It’s quite possible that this single inactive, if presented alongside a Villa Secrets Coffee Table magazine, it could change the 1 in 4 booking ratio to 1 in 2. The brochures also become a valuable part of the office and remarketing. As walk in clients and guests can take them of the wall, much like a travel agency. Following the success of the Cape Villas magazine in 2009 that generated a single booking worth $40,000 in commission, plus an offer from Bulgari to sponsor a follow up magazine worth $100,000 in barter, we shall be creating various quality magazines for Villa Secrets and Experience Africa. Distributing between 5,000 and 150,000 per edition. We have already accounted for the consequence of sending these magazines along with brochures to clients during the enquiry process. However, there are three more profit centres. Firstly, the recipients of the magazine may be tempted to book with us, especially if the magazine finds its way to people’s coffee tables. In addition is the huge advantage of creating travel and estate agency contacts. We know from the Cape Villas magazine just how powerful these publications are for agency bookings. Lastly of course is in the acquisition of mandates and better rates, as villa owners, especially ones that want to sell one day barter a mandate for a place in the magazine. During the creation of the Villa Secrets and Experience Africa magazines we will create quality videos that are good enough for broadcast when possible. There are a lot of good ideas, though the concept is yet to be fully developed. A lot depends on how the magazines are created and how far we get with our awards websites. Both of which have interesting concepts that if created would translate well to broadcast media. Note than in general, when we look for staff, we have one eye on recruiting senior and junior members that can feature in and present luxury travel, real estate and lifestyle shows. In three years’ time the very serious plan is for Villa Secrets will be global and adverting at the top of Google for every form of luxury home or villa search imaginable. Social networks will be thoroughly developed and magazines will have been made. Moreover, TV shows may have been produced and aired. And once global and with many distinguished companies contributing to the marketing and development budget, one can imagine having full page adverts in luxury magazines and other forms of adverting. We desire Villa Secrets to be nothing short of the first name in luxury property rentals and a growing name in real estate sales. Trade memberships & bonded (insured) status are essential for working with travel agents and tour operators. At the same time this also reassures clients. 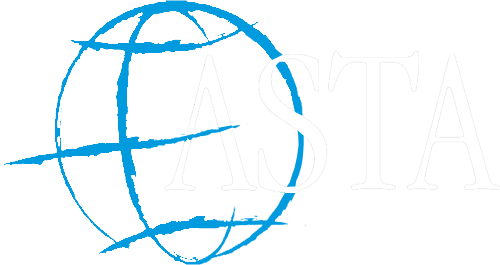 We are currently members of ASTA (American Association of Travel Agents) and the PRS (Property Redress Scheme), one of three UK government ombudsman services. With these credentials we have not had any inquiries into our status from the trade so far. However for UK traveller’s, membership of ABTA would be beneficial. Albeit it a cost factor of about 7% to 15% of commission. It may occur that such membership will greatly increase travel agent bookings. What is essential if we wish to create all-inclusive luxury holidays, for instance a safari + private island + Cape Town villa including first class flights or jets, is an ATOL licence, as this is a licence for booking flights. The option to book full holidays for clients with the service advertised on the websites could create significant extra income. We have lost out a few times to companies that offer a full service. The financials for 2015 were generated with a sales team of two. Who in the most lucrative months from December to March were overrun, as they also had to meet all clients, providing hospitality and concierge services. Furthermore, throughout the year weekends, evenings as well as night operations were not always manned. By 2020 we would hope to have created a great many international franchises and have developed the Cape Town network in to Real Estate sales and other successful businesses. Collectively with each company contributing to on sales staff member salary, Villa Secrets can provide email and telephone assistance 24 hours a day, 7 days a week 356 days a year. And in addition many International clients will have local representation. In many cases the sales staff would have been recruited by looking for copywriters who can sell. So staff members working out of business hours who may not receive many enquiries can contribute to the content marketing. Those that are not trained writers can assist with other aspects of content and inbound marketing. This initiative has the potential to double bookings, as often the first to respond to an enquiry wins the booking. With a 24/7, 365 days a year sales team one can run Live Chat (which is a messenger service accessed by clicking on the live chat icon in the bottom right of the page). The biggest potential profit boost comes from the Live Chat operator’s option to initiate a conversation with a website visitor. If successful, this single action can greatly increase enquires (remember currently only 1 in 20 clients enquire.) Live Chat has the potential to more than double client interactions. if there is an out of hours’ emergency, there is no instant contact. More often than not people nowadays view websites through their mobile or portable tablet devices. For them, using these mobile gadgets is more convenient compared to opening their desktop or laptops. This trend is likely to continue. The Villa Secrets framework and the entire site were created with what is known as the ‘Mobile First’ design. First we produced a mobile website in JQueryMobile, after which we recreated the navigation for desktop and eventually made each page in a way that is very mobile friendly. Villa Secrets will soon standout as a mobile platform. Also including features for sales and admin staff as well as for managers. One question is how will it perform in PPC ads (Google/Bing)? We currently do not advertise to mobile users, as the CTLV site, like most websites it’s not mobile friendly. When we have a stable mobile platform, we shall test PPC ads. It may be that most mobile users are browsers, not buyers. But if this is not the case and it is as effective as laptop ads, one could more than double enquiries. Mobile Apps are becoming very popular. To a degree it is not that necessary as one can do the same thing as a part of a responsive mobile website. However, download frequency can improve on Apps. As it is the current trend, it makes sense to make one. Apart from the client experience, mobile apps can be useful for staff, management villa owners and affiliates. We are already creating the Villa Secrets CMS (Content Management Suite) for mobile. Soon a user will be able to create a full villa magazine page and slideshow in 30 minutes on a cell phone. It is a task that currently takes our experienced web designers a few hours on WordPress. Sales staff can access specific apps to assist them with bookings so they can stay in touch with clients on the move. Hospitality staff and clients can view itinerates and concierge items. Management has instant access to the sales pipeline and to all sorts of useful data. Good Local SEO is essential for a good Google Organic (free search) position. And if one gets it really right, it will appear in one of the first three local search options (usually positions 5 to 7 in Google after the first 4 ads). Within the ‘TFBMS documents and videos,’ the ‘network licence agreement’ and the overall Villa Secrets Cape Town presentation, we create a road map for business owners of the Villa Secrets network company to create great success. Should any single point require further detail or explanation, a dedicated video will be created. For the staff, middle management or any form of CMS (Content Management Suite) user, from the use of Photoshop to prepare images to the intricacies of each CMS web page, a dedicated video will be created showing how to use each individual section accessed from each page of the system. Making it possible for a new staff member, villa owner or manager to use the systems without need for any other direction.